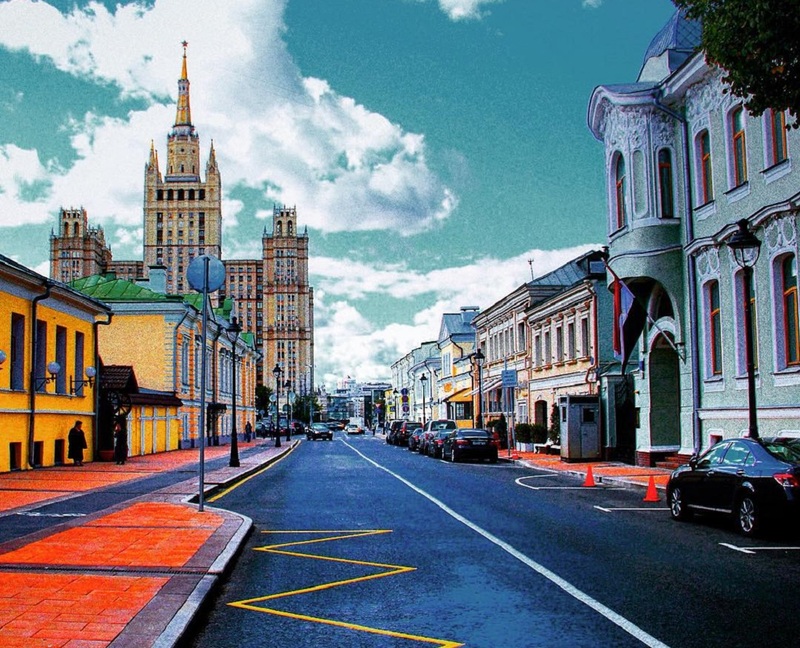 Moscow is awaiting big changes this summer: more than 60 central streets, including the Garden Ring, Tverskaya, Sretenka, Yakimanka, the Kremlin embankment and Novy Arbat will get a new look. Construction Bureau Strelka along with 17 Russian and foreign architect bureaus took part in developing the concept of renovation. The project includes a planting, transport infrastructure modernization and creation of comfortable walking zone. Reconstruction of the Garden Ring will involve a site from Arbat to Dolgorukovskaya streets this year. As planned, the Garden Ring will turn into the street with an efficient transport system and friendly and safe public spaces. There will be ten lanes for vehicle movement, special places for parking as well as lanes for public transport with lower speed limits. The project also promises safe movement for cyclists – dedicated bike lanes will appear on the sidewalks. The central idea of the reconstruction is reviving gardens on the Garden Ring. More than three thousand apples, limes, pears, maples and ash trees will be planted throughout the street to recreate its historic appearance and reduce the level of noise and pollution on the highway. Such landscaping along the broad road will hold about 123 tons of dust. 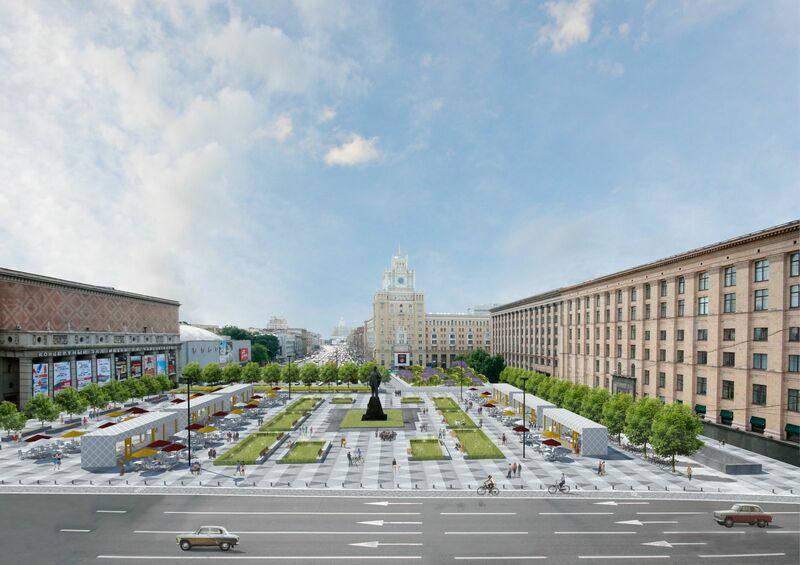 In addition to the roadway and sidewalks along the Garden Ring, the architects have presented projects of surrounding areas renovation: parks, squares and even households will have a new look. The pedestrian zones will get new energy-efficient lighting. Instead of asphalt, there will appear large polished granite tile: it will be less heated, and therefore, the temperature on the streets along the Garden Ring will be a little bit lower during summer. The Garden Ring should be fully renovated by 2018. 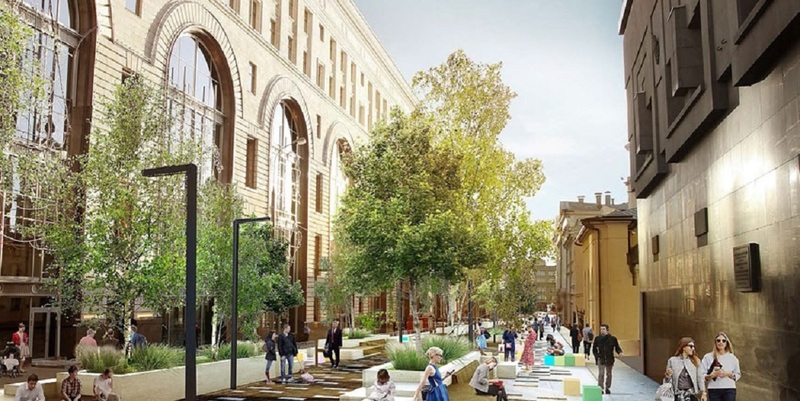 Concept improvement of Novy Arbat Street is designed by German architectural bureau Topotek 1 and the Russian Tsimailo, Lyashenko and Partners. It includes planting 180 trees of different varieties at the street. There will appear a green boulevard instead of the parking on the odd side of the street, and an even side will turn into a series of small multi-level spaces. A Dutch architectural bureau West 8 worked over the concept of Tverskaya Street (from Mokhovaya Street to Nastasiinsky Lane). Here, again, the main news is trees planting. It is noted that the trees first appeared on Tverskaya immediately after the World War II, but they were cut down in 90ies. Also, the sidewalks will expand. Public transport stops will get wooden seats, free Wi-Fi and USB-ports for charging phones.